Success Stories help you learn about Ursalink’s excellent wireless/wired networking solutions for IoT solution providers & system integrators and how Ursalink secures Internet connection and realizes remote monitoring successfully. 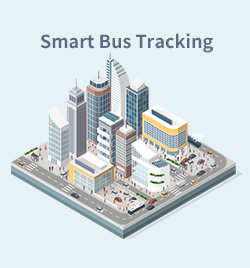 Uraslink provids LoRaWAN network for LoRa-based smart bus tracking system which provides the estimated arrival time for passengers. Digital farming consisting of LoRa technology and Internet of Things is solving the problem over how to feed a rapidly growing population across the globe. 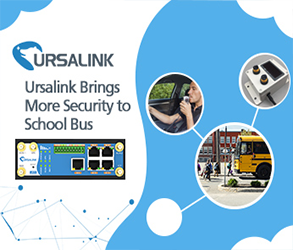 Ursalink joins hands with system integrator for an advanced IoT solution and brings more security to school bus for children. Ursalink collaborates with solution provider to secure internet connection on remote monitoring for PLCs. Ursalink comes up with a solution that brings more flexibility and mobility to smart cold chain. Ursalink improves data management and energy-saving for customers who wish to make significant strides in smart gas metering industry. Ursalink provides stable and secure Internet access for video surveillance in server room and help engineers to get everything under control. Ursalink helps mobile hospitals in Australia to leverage timely access to high-quality medical services to increase outcomes of health care. Ursalink provides wireless data transmission solution with 3/4G network for remote outdoor video monitoring in the harsh environment.